On Monday nights, you can usually find throngs of hip, artsy folks smoking and chatting outside of Beauty Bar. Inside, you can find even more of them dancing and performing. 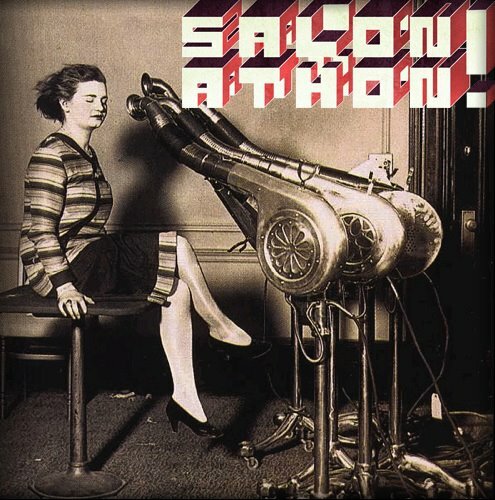 Salonathon, which takes place every Monday night at the bar where you can get a martini as easily as you can get a manicure, is one of Chicago's favorite parties. Combining performance of all varieties--from storytelling to improv to live music--with a killer post-show dance party and great cocktails, Salonathon is sure to please. 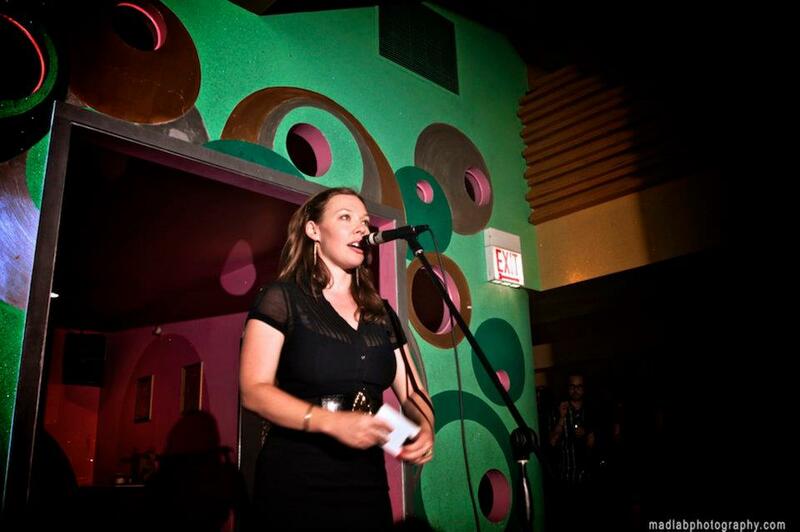 The founder and curator of this weekly extravaganza, Jane Beachy, not only runs Salonathon, but also produces events at some of the hippest venues in the city, including the Metro, the Logan Square Auditorium, and Steppenwolf Garage. Currently, Beachy is planning for a Pride event at Berlin and for the Two Year Anniversary of Salonathon on July 15 at Beauty Bar. 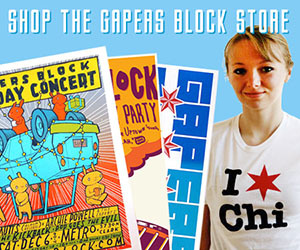 I got to chat with this Chicago gal who seems like nothing short of a party expert. When did you start Salonathon and what inspired you? I've been doing some iteration of this type of event for about twelve years now. I lived in Seattle right out of college, and there held a monthly party at my house called Le Salon Basemente. I had become frustrated by the seeming obstacles that stopped myself and my friends from realizing our ideas where live performance was concerned. So I turned my basement into a ramshackle theatre of sorts and my garage into a gallery, and started the monthly events, which were structured quite similarly to Salonathon. Some of my very favorite performance moments to this day happened in that basement, among friends and giant pyramids of PBR cans. When I moved here in 2008, I started working at About Face Theatre and became exposed to the gorgeous, energized, and insanely talented queer community that surrounded that organization. [I was offered] to take over every single Monday night at Beauty Bar. I thought it was a terribly impossible idea, and so I said yes. How has Salonathon evolved over time? In the beginning we were excited if 25 people showed up. I felt like I whipped through just about everyone I knew who would be willing to perform within the first month. [My associate curator at the time] Kelly Kerwin exposed me to a ton of amazing artists from The Inconvenience and a lot of other fringe theatre companies, and both of us worked hard to get out and meet more people who were interested in what we had going on. Attendance grew from there, and with that we got more and more inquiries about performing, and it has evolved now to the point where we have pretty reliably strong crowds every week and I field dozens of inquiries a month from people I have not yet met. It's so exciting! Can you describe a moment from the show that you will never forget? That's tough because there really are so many! I'll never forget my former roommate Kyle Casey playing a very sad song on a tiny piano one of the very first weeks. There was utter silence in the whole bar. It was really moving. The same went for the time that Philip Markle played a song he had written for his mother right after she passed away. There was such a feeling of community and of support in that moment, and there was barely a dry eye in the house. Of course, the majority of performances tend to be high energy and/or comedic, which is maybe why those quieter ones jump to mind. But overall, the common thread of the most memorable performances for me are those that are audacious and provocative and fully present. How do you choose the themes each month? It's really just a matter of what occurs to me. A few weeks ago the theme was BAD ART, and that one literally came to me in a dream. I woke up and thought, "what a terrible idea for a theme." But the more I thought about it, the more I liked it. It turned out to be an amazing night! What kind of audience does the show typically attract? It somewhat varies from week to week, but overall the crowd tends to be comprised of an array of folks from queer communities, fringe theatre and dance and comedy communities, and folks in the service industry, most of whom are artists in some form or another. Most importantly, the people who show up week after week are fierce, fabulous and fun. This is what makes for such a supportive and festive evening each Monday. I have met so many incredible people through doing this event it's not even funny. 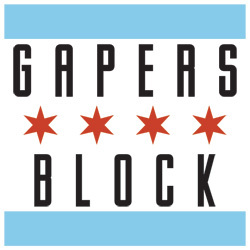 In your five years here, what are some changes you have noticed in Chicago nightlife and or queer scene? There are so many exciting performance events happening all over the city these days! This model of performance has been around for a long time, but there definitely seems to be a major burgeoning of performance events in alternate spaces. The queer dance party scene keeps growing as well, and Chances Dances, which has been around for seven years now, keeps evolving and adding components like live performance. In general, there just seems to be a ton of energy around creating intentional space. It's kind of like a new punk rock attitude, but with much more positivity. There's the defiance of "we don't need permission from the larger structure to live & create as we like," but then there's also a welcoming and inclusive addition of "neither do you ... come join us!" It's a really wonderful time to be in Chicago. I do this because I believe that live performance is an essential engine in the world, an essential type of shared experience that cannot be replaced by anything else. And I believe it should be a loving and an inclusive experience, a glorious celebration of being alive, of giving and accepting and supporting. I think the more opportunities we have to come together in this way, the grander things we can all accomplish, and the closer we can each individually come to figuring out our unique contribution to the world. Plus, I just really enjoy throwing a good party. Salonathon is free at 8pm on Monday nights at Beauty Bar, 1444 W. Chicago Ave.